Edit Widget Edit Settings Edit Styles Delete Widget Add Widget Add Nested Row Add Widget Add Nested Row Edit Widget Edit Settings Edit Styles Delete Widget IDS International has announced that all website content within its proprietary cyber and social media training environment, SMEIR, will now be licensed, free of charge, to all government customers. 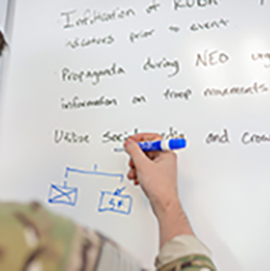 Those currently using the product, and all future SMEIR government customers, will have unrestricted access to all training content allowing for rapid, turn-key training scenario deployment. Peter Singer’s new book recognizes the innovative part SMEIR has played in combating the weaponization of social media. 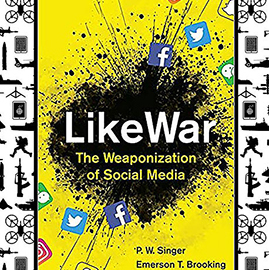 For the stressed, exhausted soldiers dodging enemy bombs and bullets, it’s not enough to safeguard the local population and fight the evil insurgents; they must now be mindful of the ebb and flow of online conversation.” (Excerpt from LikeWar) Peter Singer’s new book recognizes the innovative part SMEIR has played in combating the weaponization of social media. 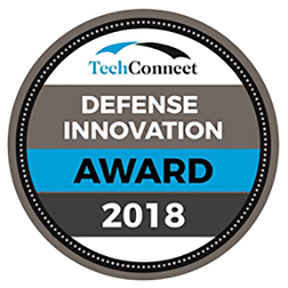 Peter currently serves on IDS’s advisory board and as a gift, the IDS community is receiving a 35% discount on LikeWar. Click here to purchase your own copy of this engaging read.